The game is changing, you don’t need to go to school and get a college degree, get a fancy salary with only two weeks vacation, you can take your income into your own hands and one of the ways that I started out doing this myself was by becoming a social media manager. This is not an industry that’s dying anytime soon and something that is perfect timing for you to capitalize on to not only grow your income but also your freedom and flexibility for your family as well. My story’s kind of funny, that I started out as a dental hygienist, I was working in an office cleaning teeth, I know, how boring, people don’t even like going to the dentist, what do you think it was like working for one? I loved the dentist that I worked for, but it was something that I didn’t enjoy, it wasn’t something that I wanted to do for the rest of my life. Now, I was kind of bored in between patients so I would do their social media, and so in between patients, I would be on the computer, tweeting, writing on Facebook, and I just did it because I knew how it was something that I did for my own personal Facebook. I thought, how hard would it be to do it for this dental office? Well, I started getting some cool results and we started nurturing an audience and then their IT guy asked me, “Hey, can I refer you to another client of mine to do this for them too?” And from there, it was a referral, referral, referral. I had no idea what I was getting myself into. So that’s when I started to actually invest and take some courses to get better at it and before I knew it, I had more clients that were actually outweighing the income I was making as a dental hygienist. And long story short, I decided to take the leap and go all in on the business and it was the best thing that I ever did. There’s kind of different levels of social media management. When I first started, I was just creating content for Facebook, Instagram, Twitter, now I’ve learned a lot more platforms and actually really specialize in video content. A lot of other social media managers will specialize in funnels, in Facebook ads. You can do all of the above but also specializing gives you the opportunity to niche down and serve a specific market and be known as the expert in that one thing. And if you’re like, well how do I know what to do? I actually have a checklist and a bonus guide on how to get clients that you can get free and that will help walk you through, especially if you’re just starting out or even if you’re advanced, this will definitely help you with finding more clients and honing in your skills. How do you get started? Well, do you have an internet connection? Do you have a computer? That’s how you get started. Create your own social media platforms, reach out to local companies, doesn’t even have to be local, that’s one of the other common objections that I get is people will say, well I don’t know anyone in my town, great, none of my clients are actually local. None of my clients even live in the same city as me or even know where I live. Reach out to businesses that you can see could use the help of social media. Is their social media presence lacking? Is their social media presence not optimized? How can you do this? Again, I have a guide on how you can find clients and one of the best ways is I would just look on social media, see the social media platforms that maybe they haven’t posted in months or I’d even go on LinkedIn and start to network there, that’s one of the greatest ways is because LinkedIn is a networking platform where businesses are looking for help and how they can support each other. There are also Facebook groups where people are going and they’re asking for advice or trying to drop value, which you can drop some value bombs in there, don’t be spammy, don’t give a pitch, because you’ll get booted out of that group super fast. But you can also join Facebook groups to learn and excel in your skills. If you’re a beginner social media manager, there are tons of courses that you can take but there’s also a lot of free resources, which I’m going to drop another one for you, I have a masterclass, it’s 45 minutes, tons of value, called How to Create 60 Days of Social Media and Video Content In Only Eight Hours. Imagine if you were a social media manager and all you had to do was spend eight hours a month on your clients and have all their content for two months, or even for yourself. 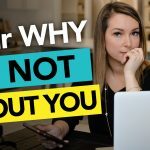 There are tons of social media strategies and lots of different expertise within the realm of social media, whether you want to be a content creator or whether you want to run Facebook ads, build funnels, drive traffic to them, specialize in video like I do, there are tons of options and when you have the ability to do a career like this, you have so much more flexibility and freedom and listen, the online world is only growing at this point, we’re not in any jeopardy of losing our jobs because of the fact that the internet’s not going anywhere. And every single business needs to have an online presence so for people who are saying it’s hard to find clients, you’re just not looking in the right places or maybe you haven’t positioned your value well enough yet. That’s why I have a free guide, the social media manager checklist as well as a bonus guide on how to get your first clients, and don’t forget, that masterclass is also super valuable too.